Is my toddler or preschooler gifted? What are the early signs of giftedness? Is my toddler or preschooler gifted? What are the early signs of intellectual giftedness? We all know how proud we get to see our little one recite the alphabet, draw very nicely, or figure things out on their own, like Rubik’s Cubes. “They’re so smart!” we can proclaim. Or boast to everyone around us. But where does the boundary lie between ‘normal’ development in a child, to being intellectually gifted? And, how young can an ‘unusually smart’ child be identified as something special? You may have that tinkle inside that’s making you wonder: is my toddler or preschooler gifted? What are the early signs of intellectual giftedness? Should I be getting ready for special school programming? Or is this how all kids operate? In this article, we’ll try to answer those questions. The first thing to know is that identifying gifted learners is quite difficult before a child enters preschool or kindergarden. Not only are some of the developmental signs attributed to ‘normal’ learners, but sometimes, giftedness can go unnoticed due to age maturity levels. Complicating matters even worse is that sometimes, gifted children also have learning disabilities. It can be as strong of a disability as attention deficit hyperactivity disorder (ADHD). Or, gifted children can show pronounced strengths in one or two schooling subjects, but significant weaknesses in others. This discrepancy in talents can be attributed to Howard Gardner’s theory of multiple intelligences. The theory posits that there isn’t only a general intelligence out there, but that each of us displays strengths in up to 9 key areas. So, being a swift math learner can mean you are ‘intelligent,’ but so can being great at music, language or sports, and so on. These factors need to be taken into account when observing kids who may be gifted. Think of it this way: if Einstein couldn’t read until he was seven years old, how could he have taken an IQ test to determine what a genius he turned out to be? So, these kids can seem like they have other issues. But in fact, they are going without the help they need, because of a lack of awareness. Of course, a learning weakness is much more concerning than a learning strength, and so it’s possible a learning disability will get more attention. In those cases it would be important to get treatment early. The diagnosis process may then bring out the “twice exceptional” nature of your child’s condition, where the giftedness can be identified too. A qualified professional trying to assess a child for giftedness will run into hurdles, such as the child not yet being able to follow instructions, though they are able to problem solve on their own, for instance. Therefore, carrying out the test in a systematic way can be hard in the early years. And often, these tests need to be based on more than ‘just a hunch,’ to rule out other possibilities of how the child learns. You would not want a mistaken diagnosis of giftedness (no matter how proudly you could sport a bumper sticker on your car). The educational programming these kids get into is taxing enough on families whose kids are actually gifted. Putting your child under the stress of tasks they can’t complete may not be wise. But…there are cases where very young kids show outstanding learning abilities, even as toddlers. For example, by age four, they can read novels. And before then, they show other strengths that are atypical for their age. Here are some examples of these real-life kids in a UK-based news article. In those rare cases, parents can, and perhaps should opt for private testing (with guidance and professional advice of course!). What are the signs of my child being gifted at a young age? Usually, you will notice something peculiar about the way your child picks up information, to get a sense that they may be gifted. But of course, you may be wondering, “is this just a phase?” or “don’t other kids do this too?” As we mentioned above, determining giftedness at a very young age is quite difficult. There are a lot of ‘gray-zone’ areas that professionals would have a hard time with, let alone suspicious parents. We also encourage you to take a look through the resources linked to in this article, as they can delve into these signs of giftedness in much more detail. Some were also written by professionals in the field, and thus may be better guides than our summaries here. What tests are available to determine if my child has early signs of giftedness? There is no one single way to determine giftedness. The qualifying factors can be different for different educational institutions or government bodies. This is because of the discrepancies and hard-to-pinpoint reasons noted above. These specialists may use different types of testing to determine if your child is intellectually gifted. They can be nonverbal or verbal, interview style or test style and so on. They should also be accounting for factors that can misconstrue test results, such as a child using English as a second language, having a learning disorder or coming from an economically-disadvantaged background. Apart from an official test to ‘prove’ your toddler or preschooler is gifted, the B.C. Ministry of Education also recommends that teachers take note of the signs of giftedness. Of course, this would come in later years, when your child is in school. The teacher would make a student profile and document their observations, as well as actual work or test scores the student is achieving. These tests and recorded observations may result in an Individual Education Plan (IEP), which would dictate a more appropriate learning path for your child in the school system. 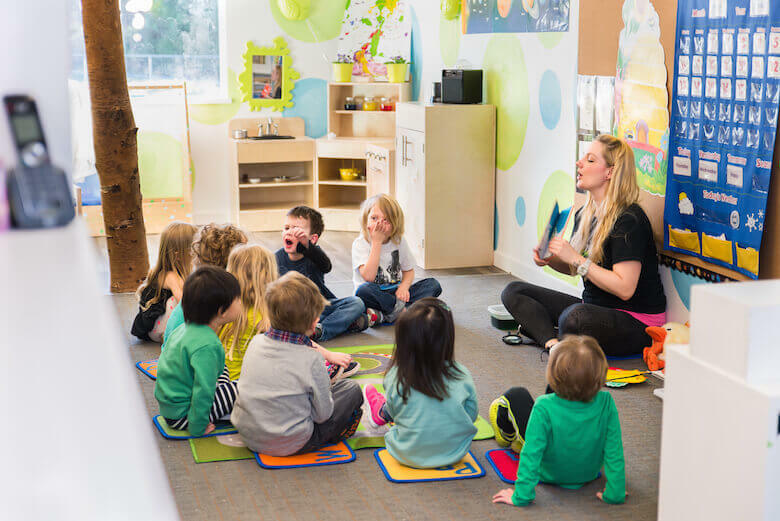 While it may be a little early to decide that your toddler or preschooler is truly gifted, you will want to keep an eye on their developmental skills. As they grow, it may become important to get them into school programming where they won’t get bored, or struggle with the way things are taught. They may need more challenges, or solutions to accelerate their learning. There are recognized pathways for gifted children, and thankfully, in B.C., options are advocated for in the school system. Though, keep in mind you may have to do a lot as a parent to get access to those resources.